The Management of IBB University, Lapai has given its assurances to partner with the Pharmacy Council of Nigeria, Niger State Branch for necessary inputs that would ensure a successful take-off of College of Health Sciences of the Institution so as to make it stand shoulder-to-shoulder with others in the country. The Vice-Chancellor, Professor Muhammad Nasir Maiturare made this known while receiving in audience a team of Fellows of West Africa Postgraduate College of Pharmaceutical Sciences from the Pharmacy Department of State Ministry of Health, Niger State. He said the visit was heart-warming, as the team was made up of respected Pharmacists whose contributions to the establishment of the University’s College of Health Sciences would immensely help in laying a solid foundation for the laudable project. Professor Maiturare reaffirmed that the Management would look into the suggestion made by the team on the need to have Faculty of Pharmaceutical Sciences alongside Medical College in the College of Health Sciences of the University for enormous advantages that could be derived from the proposal. Earlier in his speech, the leader of the team who is also the Director Pharmacy in the Niger State Ministry of Health, Pharm. Dr. Mohammed Ndagi reiterated the Pharmacy Council of Nigeria, Niger State Branch readiness to collaborate with the Management of the University towards providing necessary support that would facilitate the establishment of Faculty of Pharmaceutical Sciences at the same time with the Medical College. He stressed the need for the University to carve a niche for itself for specialisation in a particular area of the profession so as to attract funding organisations that could support such programmes. Dr. Ndagi disclosed that Niger State was blessed with right caliber of human resources in the area of pharmaceutical sciences that could fast-drive the process of establishing the Faculty of Pharmacy in the University. The Director thanked the Management for the warmth reception and pledged for continued cooperation and fruitful further discussions with the University for the realization of the noble objective. 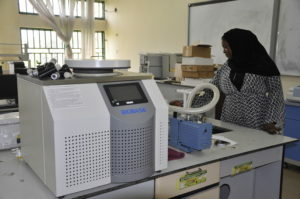 The Ibrahim Badamasi Babangida University, Lapai has received additional multi-million naira state-of-the art laboratory equipment to boost innovative research activities in the University towards promoting national technological and economic growth of the country. 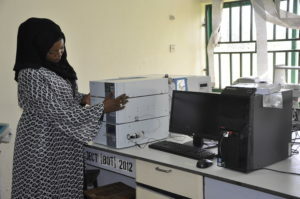 Taking the delivery recently, the Vice-Chancellor, Professor Muhammad Nasir Maiturare disclosed that the equipment were from 2016 TETFUND Zonal Intervention and were meant to be engaged in Biotechnology/Biological/Biochemical Sciences as well as Chemical Sciences. 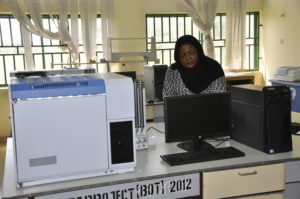 He explained that other Departments in the University that could also make use of the equipment include Physical Sciences and Agricultural Sciences; adding that the apparatus are centrally domiciled in Central Laboratory at Centre for Applied Sciences and Technology Research (CASTER) of the Institution. Speaking during the occasion, the Director, CASTER, Professor Nuhu Obaje stated the equipment would further enhance research activities in the University and expressed appreciation for the continued support of Tertiary Education Trust Fund (TETFund) in contributing immensely to the development of learning and research activities of IBB University. 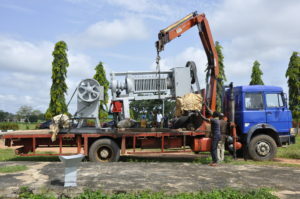 He assured that the equipment would be deployed to explore new frontiers in the research exploits of the Institution for the benefit of the society in general. 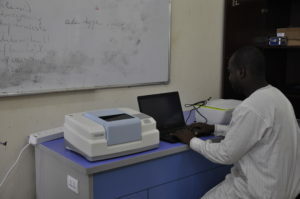 Professor Obaje gave the list of the equipment to include:ALPHA FT-IR-BASE SPECTROMETER, A250/D System Specification: Small footprint: 22 x 30cm; MICROPROCESSOR BASED GAS CHROMATOGRAPH basic with key board control panel, Pneumatics: Regulators carries gas, fixed flow restriction for hydrogen, Display: 16 characters, 17 segment Alpharenumeric display of set and actual temperature, Injection Port: Standard one packed and one dedicated capillary injection. 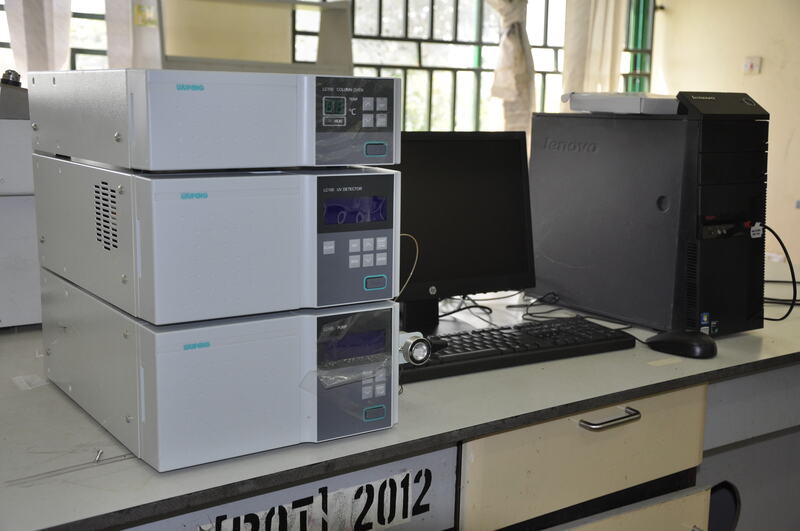 Others he said are: THERMOSCYCLER – Universal Block for 96:0.2ml tubes, HIGH PERFORMANCE LIQUID CHROMATOGRAPH (HPLC) Isocratic system with high pressure delivery pump multi-wave length UV detector, FREEZE DRYER; Type: Standard Chamber with 8 port manifolds freeze drying area and MICRO CENTRIFUGE with Microhemotocrite Rot-Max speed 16000RPM with brushless induction motor frequency drive. The Director further listed more of the equipment to include: DEEP FREEZER: constructed with double wall, the exterior is made of M.S sheet, MAGNETIC STIRRER HOTPLATE; Capacity: 1 Litre, Speed range up to 1200rpm, Temperature 300degree, controlled by energy regulator. He said in the equipment were BINOCULAR BIOLOGICAL DIGITAL MICROSCOPE: Viewing head: Sliding binocular head inclined at 45 degree, 360 rotatable; 55-75mm interpupillary distance and METABOLIC CAGES FOR SMALL ROGENTS; Durability: Most components are made from autoclavable polycabonentans S.S304. Professor Obaje enjoined all researchers in and outside IBB Universities to make use of the facilities to advance innovative research for national technological and economic growth of the Country. 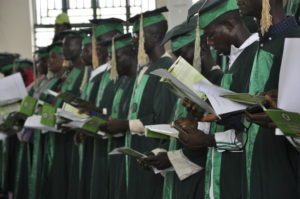 The Ibrahim Badamasi Babangida University, Lapai has matriculated a total number of 166 students being the first set of its Long Vacation Training Programme admitted into various academic programmes of the Institution. Speaking at the occasion, the Vice-Chancellor, Professor Muhammad Nasir Maiturare charged the students to be of good behaviour and avoid any act of indiscipline that could undermine the successful completion of their academic programmes in the University. He also enjoined them to be committed to their studies so that they could graduate with a degree that would be capable of earning them good jobs. Professor Maiturare further told the new students to consider themselves lucky for being offered admission into the Institution; pointing out that university education was increasingly becoming more challenging and highly competitive, hence the need for them to make good use of the opportunity. 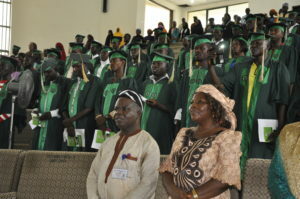 The Vice-Chancellor disclosed that IBB University is innovative and constantly seeking for ways to advance the cause of society; adding that the Institution was determined to provide more access and serve the need of the society through LVT and congratulated the matriculating for successfully being registered as members of the University. He appreciated the support Niger State Government was giving to the University and called for more. While administering the oath of office on the matriculants, the Registrar, Alhaji Musa Ango Abdullahi represented by the Deputy Registrar (Legal Unit), Barrister Sani Hassan Ndaliman counselled new students to be loyal to the constituted authorities in the University and should endeavour to abide by its norms. Highlight of the occasion was a short talk on morality by Islamic and Christian Clerics, Mallam Umaru Dada Paiko and Professor (Pastor) Ayotunde Olorunsanya respectively. The Ibrahim Badamasi Babangida University Lapai has completed three high-impact mineral raw materials projects and has developed a fourth proposal on which it is currently seeking collaboration with the Raw Materials Research and Development Council and other agencies and industries that may be identified by the Raw Materials Council. 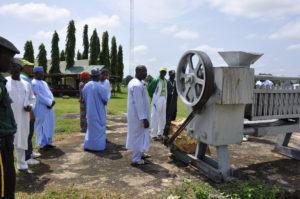 In a letter to the Director- General of the Raw Materials Research and Development Council by the Vice Chancellor, Prof Muhammad Nasir Maiturare stated that he was forwarding for the consideration of the Raw Materials Council, a list of completed, ongoing and proposed R&D projects on mineral raw materials carried out at the university. He said he would be glad for possible collaboration with identified industries and the Raw Materials Research and Development Council. 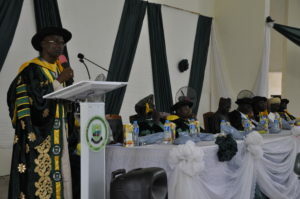 In the submission the Vice Chancellor stated that the university has completed/almost completed 3 high impact mineral-based R&D projects on: Industrial mineral deposits of North Central Nigeria funded by the Raw Materials Research and Development Council (2016, 95% completed); Exploration for coal and development of smokeless coal fuel funded by the Tertiary Education Trust Fund large grant (2015, 90% completed) and the Federal Ministry of Mines and Steel Development (2018, 70% completed). 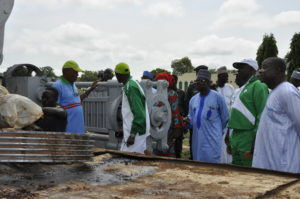 Others he pointed out are Mining and the impacts on livelihood in Niger State funded by the TETFund small grant (2016, 100% completed), and that a fourth project is being developed for the study of industrial mineral deposits in Northwestern Nigeria. 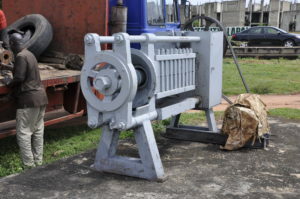 Professor Maiturare said that results expected from the proposed project on mineral deposits in the Northwestern region of Nigeria will lead to industrialization of the region and the nation with concomitant economic diversification, employment generation and wealth creation. The Vice Chancellor expressed appreciations to the Director-General of the Raw Materials Council, Dr. Hussaini Doko Ibrahim, for the support the university has enjoyed from the Council over the years and for the consideration of IBB University in future collaborative projects. 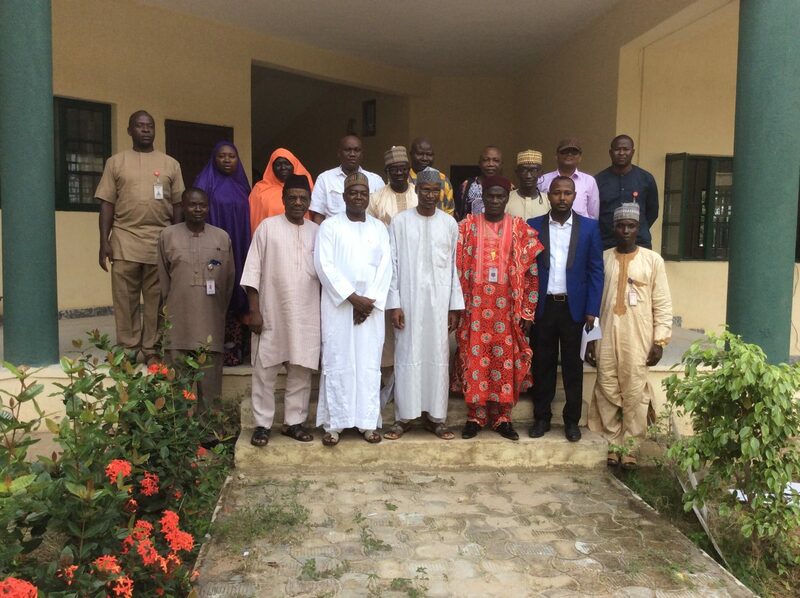 The 3rd meeting of Zonal Coordinators of Students’ Industrial Work Experience Scheme (SIWES) for 2018 has been hosted by Ibrahim Badamasi Babangida University, Lapai, during which emerging issues being encountered by relevant stakeholders were discussed and recommendations were also made on effective ways of resolving them. Speaking while welcoming the participants to the meeting, the Vice-Chancellor, Professor Muhammad Nasir Maiturare pointed out that IBB University was committed to producing world-class graduates that would be industry-relevant as a result of pivotal role Students Industrial Work Experience Scheme. He explained that the University was according high priority to practical skills and experience through SIWES; adding that the effort was a demonstration of strong and cordial relationship existing between IBB University and Industrial Training Fund (ITF). Professor Maiturare also disclosed that the University was already in the process of automating its SIWES activities and reaffirmed the determination of the Institution to key-in in ITF online SIWES events. The Vice-Chancellor expressed appreciation to the Executive Director, Industrial Training Fund for settling part of backlog of financial obligations to the students and Institution and appealed for full payment of the backlog. Earlier, the Minna Office Area Manager, Mr. Gabriel Plang highlighted the functions of the ITF to include providing, promoting and encouraging skills acquisition in Industry and Commerce with a view to generating a pool of indigenous manpower sufficient to meet the needs of the nation’s economy. He underscored the importance of SIWES Zonal Supervisory meeting for ITF and participating Institutions in order to reposition and enhance SIWES activities in Niger State and Country at large. The Area Manager expressed satisfaction with the level of reception given to the participants of the meeting by the University Management and assured of harmonious working relationship with IBB University. The University’s SIWES Coordinator, Dr. Kabir Mohammed Adamu also thanked the University Management for providing enabling environment for the success of the meeting. The Vice Chancellor, Ibrahim Badamasi Babangida University, Lapai, Professor Muhammad Nasir Maiturare has inaugurated the Academic Committee for the University’s Medical College. Speaking during the inauguration ceremony which took place at the Main Campus in Lapai, Professor Maiturare said the committee is expected to pilot the soft and foundation level of the college by developing Academic curriculum for its the take off. He disclosed that by the Academic Brief of the University, the pre-medical programmes should have commenced since by 2016/2017 academic session, while the full program is 2018/2019 session, but that the establishment of a Medical College has been a difficult task which must require the input of various stakeholders in the field of Medicine, especially from other universities in the country. The Vice Chancellor stressed that work has since commenced on the site of the college and that the site for the Teaching Hospital has also been acquired. Responding, the Chairman of the Committee, Professor Abu Kaseem Adamu expressed the hope that a lot of positive developments would come out from the report of committee when submitted, and thanked the University Management for the confidence reposed on members of the Committee. 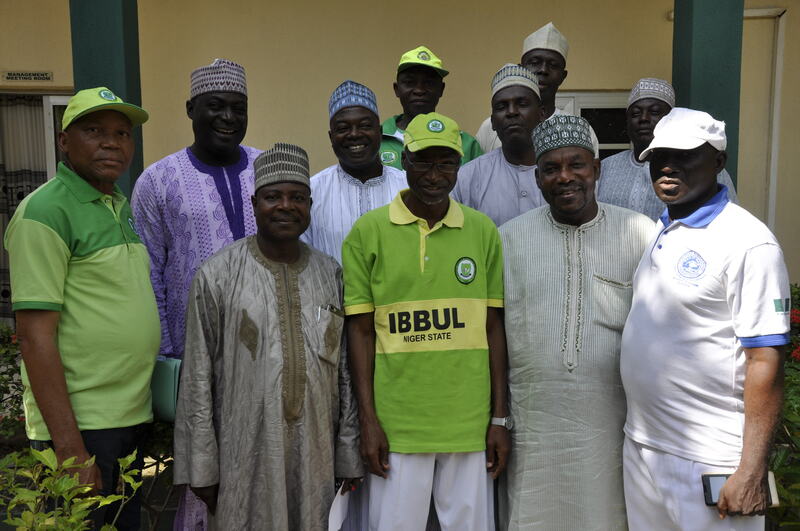 Professor Adamu who is the Deputy Vice Chancellor ( Administration), enjoined members of the Committee to work as a team for the establishment of an enduring legacy for the institution. Also speaking, the Head of Medical experts from other higher institutions of learning in the country, Professor Abubakar Alhaji Aliyu, assured of the full commitment of members to the assignment. In their separate contributions, the Deputy Vice Chancellor (Academic), Professor Mohammed S. Mohammed and the Registrar, Alhaji Musa Ango Abdullahi expressed the hope that the Medical College would come on board with a fine academic curriculum considering the calibre of men on the Committee. The Vice Chancellor later led members of the Committee on an inspection of the project site of the College where they expressed satisfaction with the level of work so far. The Committee has Professor A.K Adamu as Chairman. 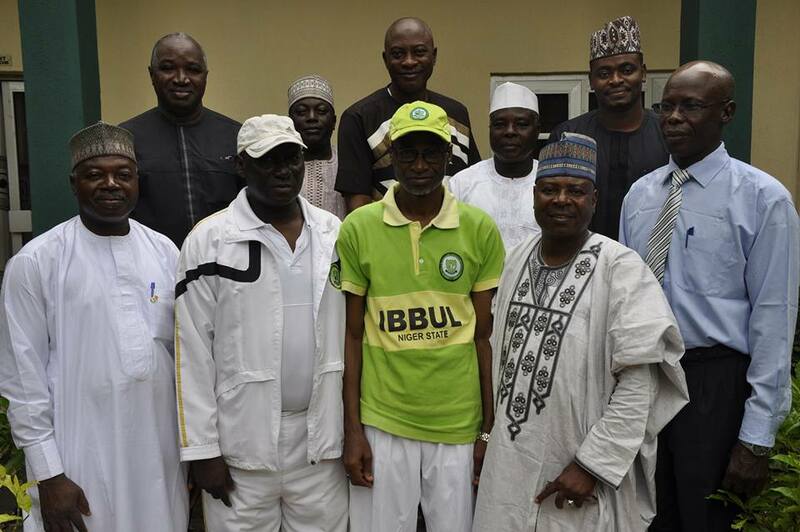 Members are: Professor Abubakar A. Aliyu, Ahmadu Bello UUniversity Teaching Hospital; Dr Sadiq Mohammed, Aminu Kano Teaching Hospital; Dr Samuel Hemba, Benue State University University Teaching Hospital; Dr Mohammed Aliyu Makusidi, representative of Uthman Dan Fodio University, Sokoto,and Permanent Secretary, Ministry of Health, Niger State; and Professor M. S Mohammed, Deputy Vice Chancellor, Academic. Others are Professor M.T Mustapha, Director, Quality Assuarance; Dr Mohammed Aliyu Paiko,Director, Academic Planning; Dr Hassan Jimada Director Medical and Health Services, IBBUL, while Musa M.Mahmood, Academic Secretary would serve as Secretary respectively. The Permanent Secretary, Ministry of Health was replaced by Dr. Mayaki Aminu, Chief Medical Director, Jummai Babangida Aliyu Antenatal Hospital, Minna. It would be recalled that part of the efforts of the University Management in the establishment of the Medical College was the signing of a Memoradum of Understanding with the African Healthcare Development Trust in the United Kingdom, led by the Vice Chancellor, Professor Muhammad Nasir Maiturare three years ago; and the signing of contract for the construction of the College early this year. A renown educationist and Islamic Scholar, Dr. Sheikh Ahmad Lemu has been conferred with an Honorary Doctorate Degree of Letters (Honoris Causa) by Ibrahim Badamasi Babangida University, Lapai. Similarly, the Group Managing Director of NNPC, Dr. Maikanti Kachalla Baru conferred with award of Fellowship of the University for his doggedness to revolutionise the petroleum sector of the country and supporting the research efforts of the University on Bida Basin and other mineral resources. Conferring the awards during the 2nd convocation ceremony of the University, the Chancellor, Alhaji (Dr.) Umaru Faruk Bahago said that the honour was in recognition of invaluable contributions of Dr. Sheikh Ahmed Lemu and Dr. Maikanti Kachalla Baru to the education sector and development of humanity in general. 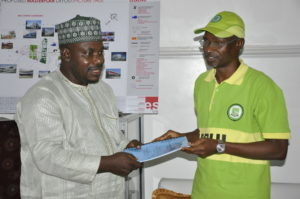 Responding, the Group Managing Director, NNPC, Dr. Maikanti Kachalla Baru expressed appreciation for the honour done to them the authority of IBB University; saying that the awards would undoubtedly spur them to redouble their efforts in providing services that would impact meaningfully into the lives of the citizenry. 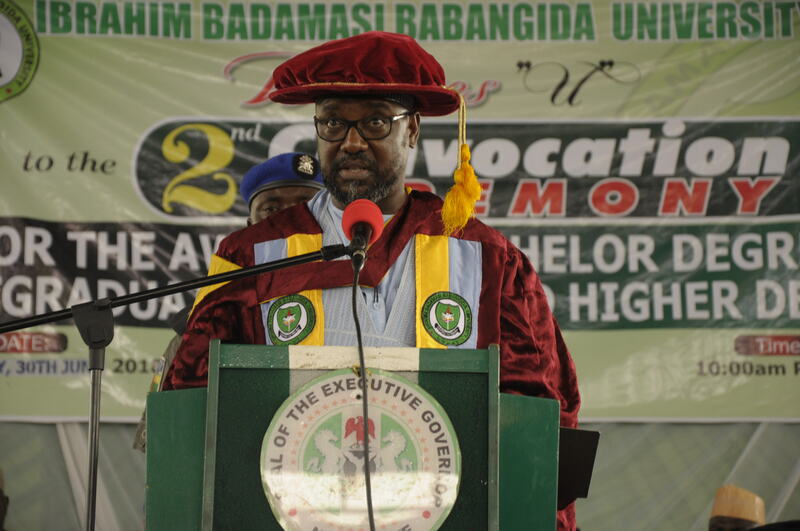 The Executive Governor of Niger State, Alhaji Abubakar Sani Bello has once again reiterated his administration’s determination to ensure that necessary attention is given to the development of Ibrahim Badamasi Babangida University, Lapai so as to improve its status in the global rankings by making her one of the excellent research and learning centres in the country. He made this known while delivering his address at the University’s 2nd combined convocation ceremony held at the convocation arena of the Institution. 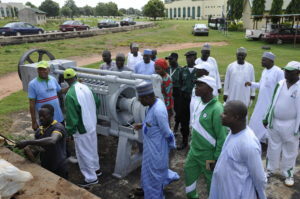 Alhaji Bello who is also the Visitor to the University stated that his administration was familiar with the challenges of the Institution and reaffirmed that no stone would be left unturned to ensure that its development remained top most of priority projects of the Niger State Government. According to him, “we will continue to give you all the required support and will not fail in our commitment to the necessary efforts needed that would ensure that the University maintains and grow its faculties, attract and retain quality calibre of staff that would contribute meaningfully to making IBB University a world-class citadel of learning that provides best to none educational experience for our students”. The Governor said that it was in realisation of quality and affordable tertiary education to the Nigerlites that his administration was working on establishing Tertiary Education Fund (TET Fund) for Tertiary Institutions in Niger State so as to rescue and improve the status of tertiary education in the state and appealed to all well-meaning individuals in the state to support the noble course. The Visitor disclosed that the state government was working tirelessly to ensure that work on the construction of male and female hostels across the tertiary institutions in the state commence without further delay. He called on well spirited individuals in the society to contribute to the University Endowment Fund Board headed by General Abubakar Alhaji AbdulSalami (Rtd) and also charged the Institution to explore other avenues of internally generated revenue to boost its sources of funding. 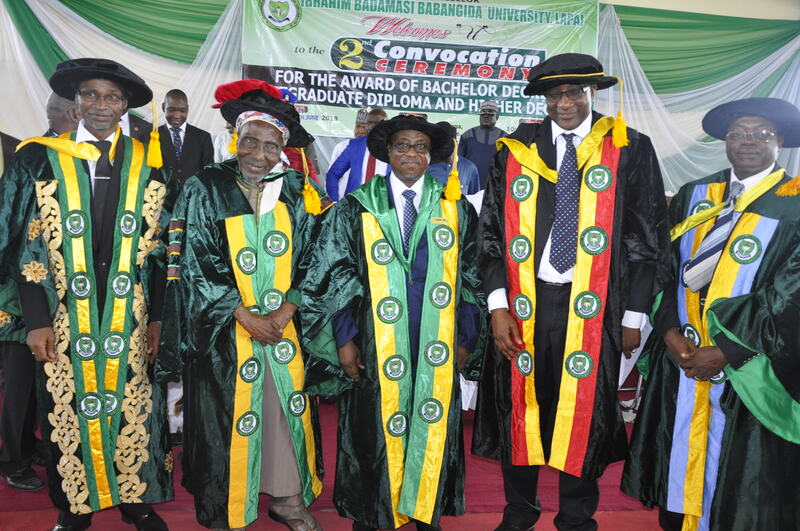 In his address at the occasion, the Former Military President, General Ibrahim Badamasi Babangida (Rtd) who spoke through the Chairman University’s Endowment Fund Board of Trustees, General Abubakar Alhaji AbdulSalami (Rtd) reaffirmed his full and continued support to the development of IBB University to make it best among equals on the globe. He called for support from all and sundry in order to take the University to lofty heights. The Chancellor of the University, Emir of Minna, Alhaji (Dr.) Umaru Faruk Bahago appreciated the support the University was receiving from the Niger State Government; adding that the doggedness of the Governor Abubakar Sani Bello’s lead administration in developing other sectors of socio-economy of the State was highly commendable. He congratulated the graduands for the successful completion of their studies and appealed for funding support from relevant stakeholders towards IBB University project. 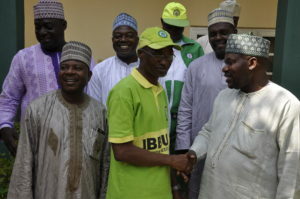 Also speaking, the Pro-Chancellor and Chairman Governing Council of the University, Dr. Muhammad Kudu Santuraki said that the objectives for which the IBB University was established was gradually yielding results. 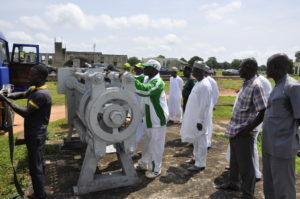 He assured that no efforts would be spared by the Management and Council of the Institution toward accelerating its development to the desired level; saying that the enduring legacy that IBB University represent was as a result of the vision of the pioneer Visitor of the University, late Engr. AbdulKhadir Abdullahi Kure. The Council Chairman appealed for support from critical stakeholders in the education sector to the development of the University in order to meet the yearnings and aspirations of Nigerlites. Earlier, the Vice-Chancellor, Professor Muhammad Nasir Maiturare Professor Maiturare said that the University has recorded a number of scholarly achievements both at national and international fronts with quality research grants being attracted to the University and students also winning highly competitive laurels. The feats, he said, were a result of conscientious efforts of the students and faculty members of the University as well as provision of state-of-art teaching and learning facilities by the Management as well as unwavering support being received from the State Government. Professor Maiturare explained that the University was rapidly developing both in academic programmes and infrastructural facilities, emphasising that quality assurance system and strategic actions were being taken to ensure that IBB University ranks among best in the comity of its peers worldwide. Professor Maiturare explained that 1,281 students which represent 20.2 percent of total number graduated in the Second Class Upper Division, while 3,290 and 1,613 students representing 51.8 percent and 25.4 percent graduated with Second Class Lower Division and Third Class Degree respectively. 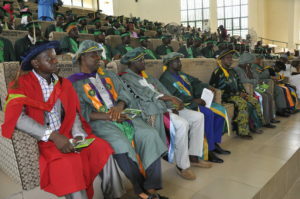 He pointed out that the University graduated 135 students with Pass Degree, which would be the last to be awarded in the Institution in line with the National Universities Commission’s (NUC) policy. The Vice-Chancellor disclosed that 82 students graduated with Postgraduate Diploma Certificates, while a total of 36 students graduated with Masters Certificates in their respective disciplines from the Postgraduate School. Professor Maiturare thanked all and sundry that have been supporting the development of IBB University and called for a sustained efforts to make her stand taller among its peers. The ceremony witnessed re-launching of its N7billion Endowment Funds for some laudable projects which was coordinated by the Chairman, University’s Endowment Fund Board of Trustees, General Abubakar Alhaji AbdulSalami, GCFR and presentation of certificates and prizes to some students who have outstandingly distinguished themselves in academics from various Faculties by the Chancellor of the University, Alhaji (Dr.) Umaru Faruk Bahago.